With a population of about 40,000 residents, Ocoee is a city found very close to one of the largest tourist destinations in the world. It's located in the Orlando-Kissimmee-Sanford Metro area, which has a much larger population of nearly 3 million residents. This area also sees millions of visitors every year, which brings a unique problem to the roadways. With so many tourist attractions found throughout the area, Ocoee and the surrounding area end up with congested roadways and a number of issues on the highways. The issues come from many visitors unfamiliar with area roads, along with a mixture of unique driving styles from all over the world. Many visitors rent vehicles when they arrive or drive from other areas of the country. Ocoee, Florida is located just north of Interstate 4, which is one of the busiest and most dangerous highways in Florida. I-4, in Florida, has actually been rated at the 3rd deadliest highway in the country. About 15,000 traffic accidents occur in Orange County every single year. The county averages about one injury per accident and suffers from more than 175 fatalities, on average, per year from traffic accidents. The Orlando area attracts about 50 million visitors every year with the many tourist attractions found throughout. Many visitors spill over into the Ocoee area due to the close proximity to these attractions. The traffic statistics for Ocoee and Orange County are on the rise. Can you imagine how much worse the issue would be and how many more accidents would occur if the authorities didn't monitor the roads? More than 190,000 traffic tickets were given to drivers in Orange County throughout 2015. Out of those ticketed, about 61,000 drivers were speeding and another 43,000 were caught running red lights by red light cameras. Nearly 17,000 drivers were ticketed for careless driving and over 21,000 were ticketed for toll violations. Judges in the county only dismissed a total of 11% of the tickets. Your chances of getting out of a traffic ticket in Orange County are rather slim. The State of Florida doesn't give you the right to drive, but the privilege to drive. This means, your license can be suspended at any time, if you don't follow the traffic laws. In Ocoee, Florida, traffic tickets come with points, which go on your license. These points can cause your insurance rates to go up and if you get too many points, you could have your driver's license suspended. Receive 12 points in just 12 months and you'll lose your license for 30 days. Receive 18 points over 18 months and the suspension will be for 90 days. Receive 24 points in a 36-month period and you'll be stuck without a license for an entire year. Just a few violations and you could be calling a cab for a month, 3 months or an entire year. 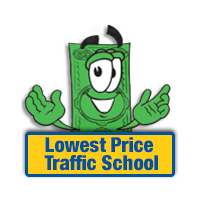 After you plead no contest or guilty to your traffic ticket and pay the fine, you can enroll in traffic school online. You will want the basic driver improvement course, which will allow you to erase the points from a recent traffic ticket. Let the clerk of the court know you will take this class and enroll online. Then, you just need to complete the course and receive your certificate of completion. Turn this back in to the clerk of the court and you'll be able to keep your insurance rates from going up and points off your license. Drivers often don't think they are eligible to take the basic driver improvement course in Ocoee. However, if you haven't taken the course five or more times and you haven't taken it over the past 12 months, you're eligible. 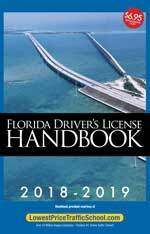 Drivers in the State of Florida can use the class up to five times, but only once per 12 month period. Any traffic ticket issued in Ocoee, Florida will be processed and handled by the Orange County Clerk of the Court. If you will be enrolling in online traffic school, you will need to notify the clerk of the court when you pay your ticket. Find out more information about the Orange County Clerk of the Court on their website.